Nothing is better than juicy, sweet, refreshing organic watermelon! 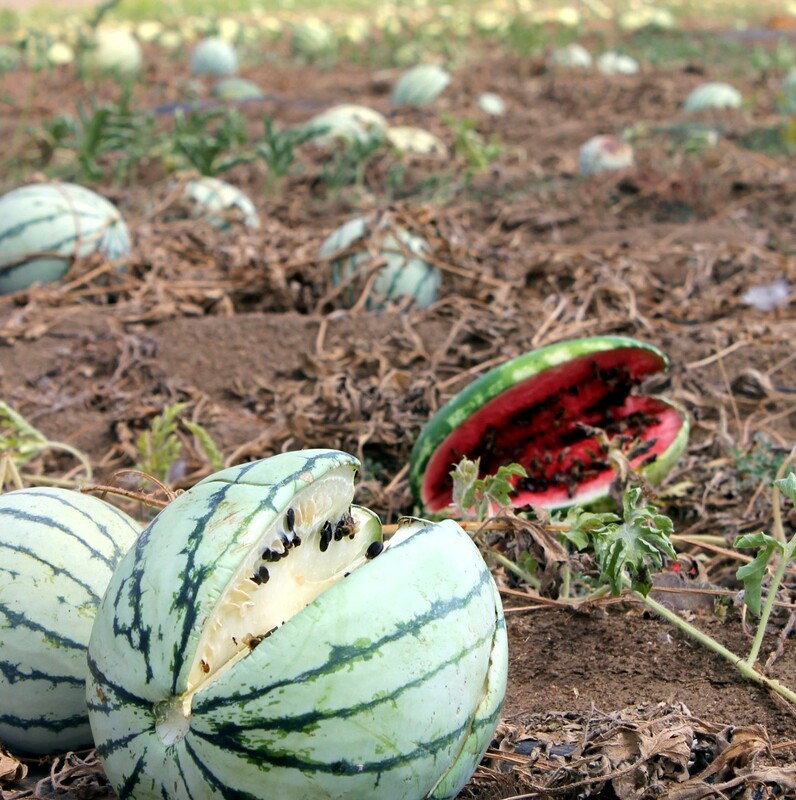 We at Sage Mountain Farm know that nothing is more disappointing than getting home to find that your watermelon lacks flavor. 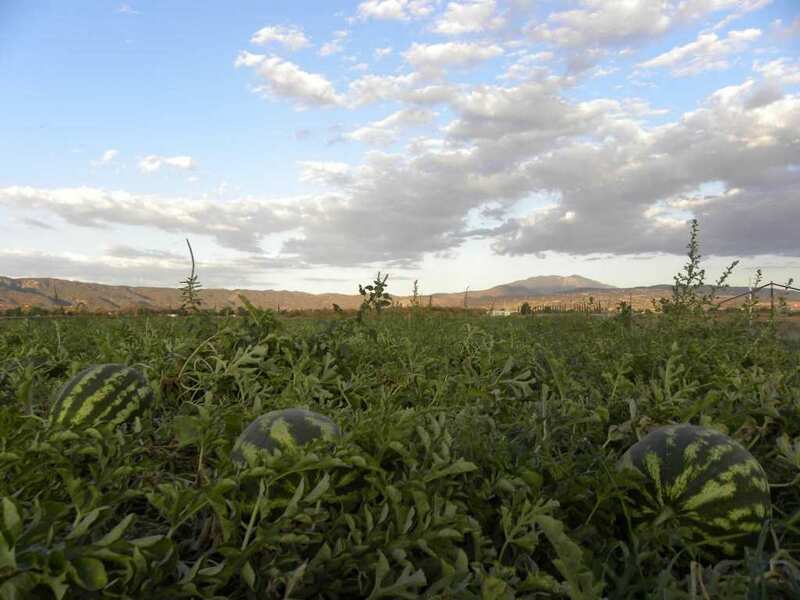 Here are some tips from a sustainable farm on how to select the sweetest watermelon! The first to look for is the “field spot”. 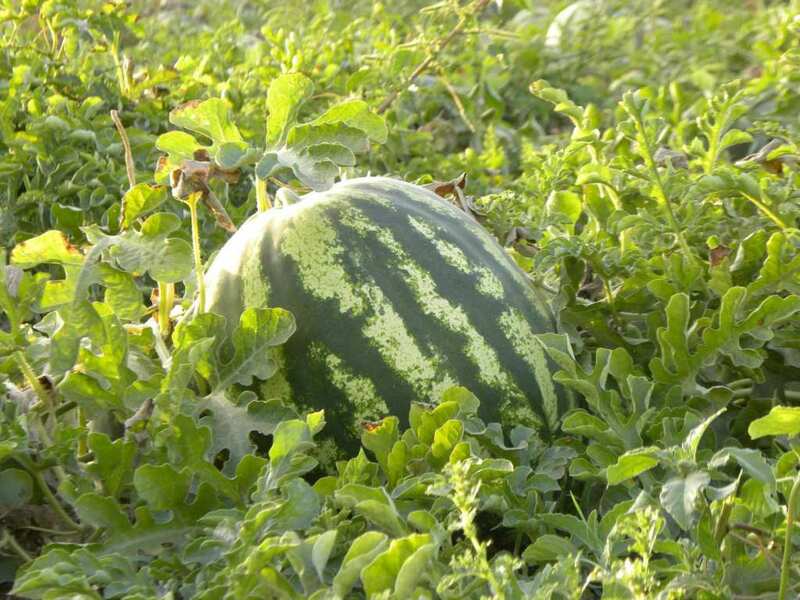 The creamy yellow spot on a watermelon is where the watermelon rested on the ground and grew to maturity. 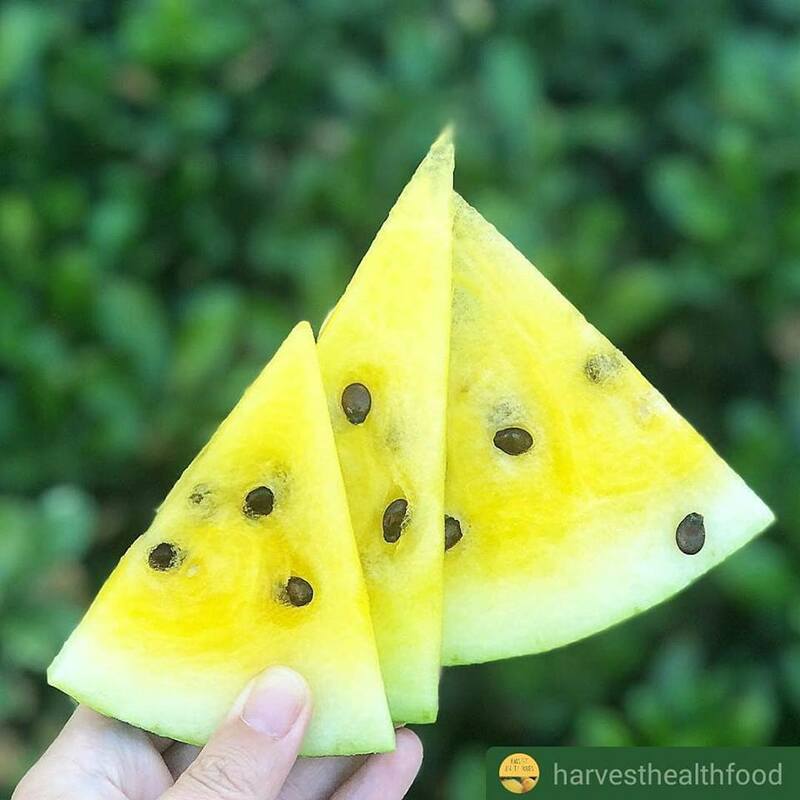 The darker the yellow, the longer it rested on the vine, where a nutrient rich watermelon was able to come to life! 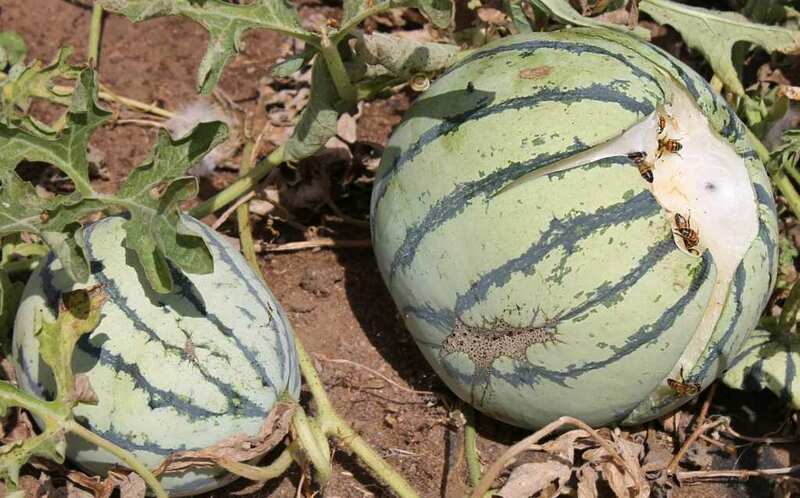 If the watermelon has a white spot or no spot at all, that means it was harvested too early and will be under ripe. The second is to look for where the bees have been. 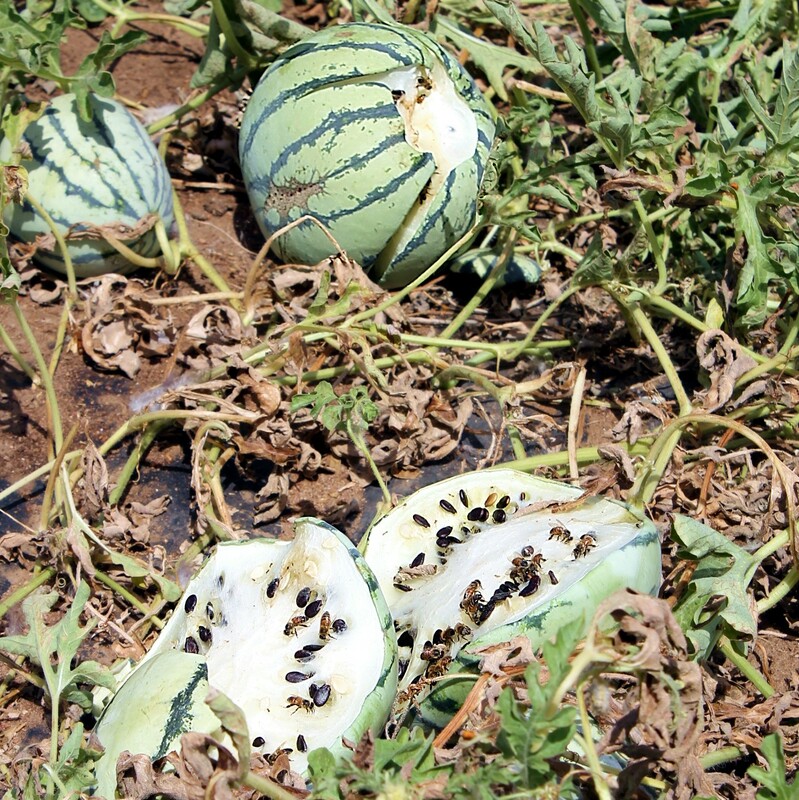 While in the flowering stage, the bees that pollinate the watermelon will leave a spot, or web that has brown sap spots in it. 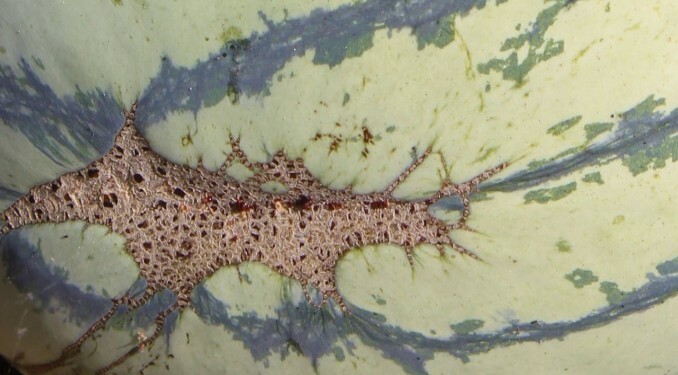 The more webbing they leave during pollination, the sweeter the melon. In organic farming, there is a natural eco-system that when allowed to work in harmony, will provide you with the sweetest, most delicious fruit possible. The bees and bugs know their fruit! Where they have been, I’m always sure to go! These bees found one of our Saskatchewan White heirloom variety watermelons that has broken open. They love to feed on the sweet fruit! Our bees are local to the farm and is where our delicious honey comes from too! Nothing goes to waste on a sustainable farm. 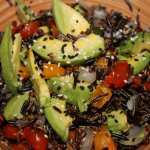 What the bees don’t eat, our animals do! That is why we call our animals “green-fed” because they eat all the delicious organic fruits and vegetables that don’t make it to market. We hope that this information from the farm will be helpful next time you pick which watermelon to take home! 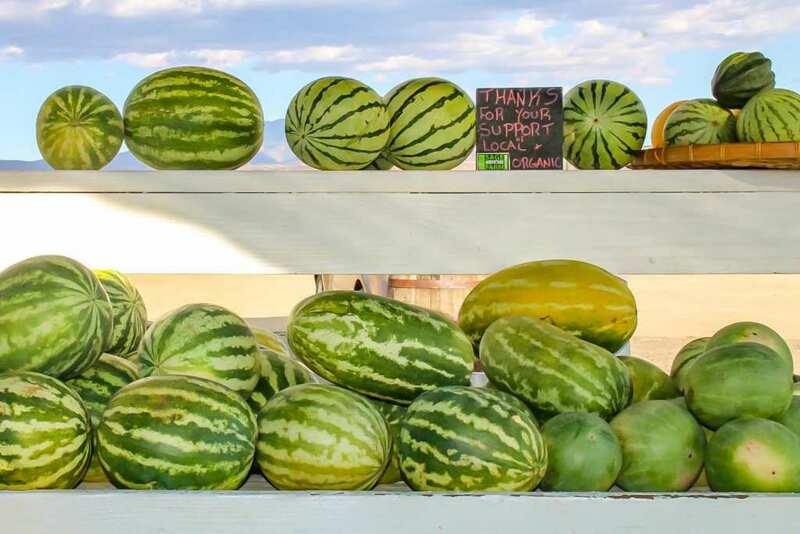 Come visit our Farm Stand in Anza Mon-Sat 9am-5pm (closed from 12-1 for lunch) and pick from our farm fresh selection of Organic, Heirloom variety Watermelons. We have Crimson Sweet, Jubilee, Baby Doll, White Saskatchewan, Fascination & Exclamation! ! ! (38770 Bahrman Rd, Anza, CA 92539) across from the Pizza Factory. Thank you for supporting small, local organic farms! Crimson Sweet, Jubilee, Baby Doll, White Saskatchewan, Fascination & Exclamation. Come by our Farm Stand in Anza, CA off of Bahrman Road just north of HWY-371 (enter across the street from Pizza Factory) Mon-Sat: 9am-5pm (closed for lunch, 12pm-1pm ). Or visit one of our Farmers Market locations, on Saturday we are at the Riverside, Palm Springs, Joshua Tree, & Twenty-nine Palms Farmers Markets. 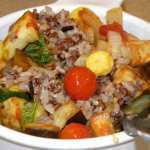 And on Sunday: Hillcrest, Claremont & La Quinta Farmers Markets. nice amy really nice picking a sweet water melon was like a crap shoot sometimes u hit it sometimes u miss not anymore Thanks. When is the season for watermelon? When is season right now? 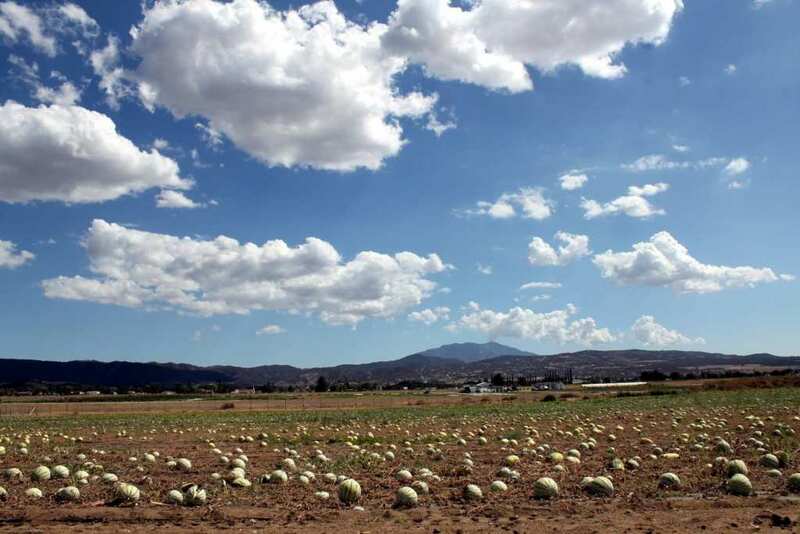 Hi Angelica, Sage Mountain Farm is in the mountains at 4000 feet. For some reason our watermelons came in late this year and are currently in season. We have 7 different varieties of farm fresh, local organic heirloom watermelon, including: Crimson Sweet, Jubilee, Baby Doll, White Saskatchewan, Fascination & Exclamation. Come by our Farm Stand in Anza, CA off of Bahrman Road just north of HWY-371 (enter across the street from Pizza Factory) Mon-Sat: 9am-5pm (closed for lunch, 12pm-1pm ). Or visit one of our Farmers Market locations, on Saturday we are at the Riverside, Palm Springs, Joshua Tree, & Twenty-nine Palms Farmers Markets. And on Sunday: Hillcrest, Claremont & La Quinta Farmers Markets. Thank you for supporting small farms!